Adam is an experienced consultant who specialises in the design and delivery of large‑scale strategic initiatives and organisational design projects. He brings a unique and creative perspective to solving clients’ problems and draws on skills in strategy, analytics, lean methods and design thinking. He develops strong relationships with clients through a collaborative and pragmatic approach, enabling him to excel in delivering results in complex multi-stakeholder environments. Adam has worked in the private and public sector with a focus on innovative and technology intensive areas. Led a project to design and implement a new commercial operating model for a major outsourcing company, address key performance and capability issues. Adam has held a variety of senior management and consulting roles across the private and public sector. These include senior manager, innovation and technology in the Victorian Department of Economic Development, Jobs, Transport and Resources; senior consultant at the global outsourcing firm Serco; strategy consultant at boutique management consulting firm Strategic Project Partners; and program and product manager at the global life sciences company Leica Microsystems. 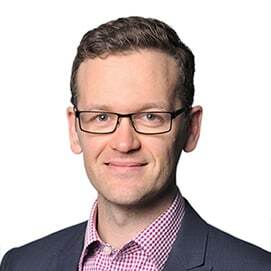 Adam holds a Bachelor of Engineering (Mechatronics) from the University of Tasmania – awarded the University Medal – and is a Prince2 Project Management Practitioner. Adam is a keen amateur cyclist, renovator, photographer, and part-time professional bass guitarist for a well-known tribute band. He also enjoys taking his dog for a run in the park.